Future Dance Land: An Electronic Tribute to Diddy Kong Racing celebrates game's 20th anniversary with full-length remix album from Materia Collective. 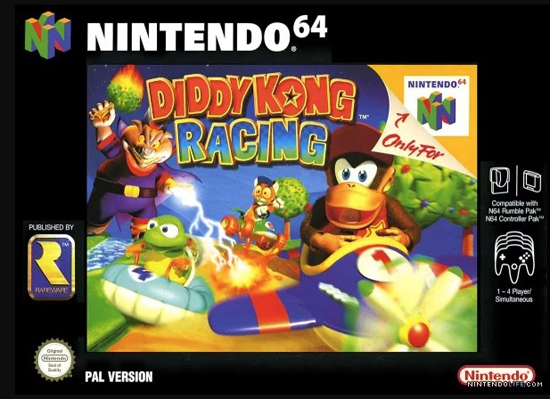 "Diddy Kong Racing contains some of my all-time favorite game music," notes album producer and arranger Nicholas Arden Day (aka Nikolyst). "I felt it was only fitting to combine these catchy tunes with EDM. Once I discovered the 20th anniversary of Diddy Kong Racing was approaching, the idea for this album was born." Nikolyst is a composer hailing from a non-traditional music background. The weapons of choice for this experimentally-driven noisemaker are synths, samples, and ALL the effects. His music is composed through the major manipulation and rhythmic reinterpretation of eclectic sound sources into mesmerizing melodies and scintillating soundscapes.